Tisha Lewis a.k.a. 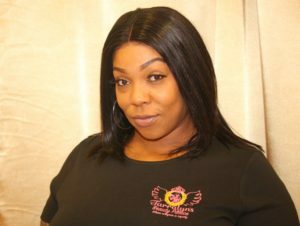 Vonda J is a girl from Oakland, California who has always had a passion for hair, makeup, & nails. Even as a child, I always had a love for just about any and everything that makes a woman feel and look beautiful. I moved to Las Vegas in 2002 and continued to fuel my passion for makeup and kept perfecting my craft as a self-taught MUA. In 2016 I began doing makeup for women as a side gig outside of my 9-5. In May of 2018 I stepped out on faith and went full time in my artistry. My Goal is to make Women Around the World Be Her Own Kind of Beautiful. 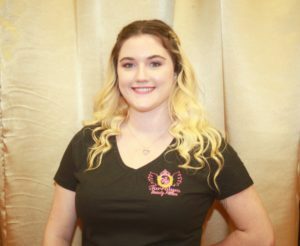 My name is Ashlyn and I am a concierge at The Beauty Palace! I’m Living my life to the fullest and I’d like to welcome every King and Queen to have an amazing time. My goal is for our guests to leave the palace feeling like royalty, and offering an experience they cant find anywhere else! Join the Palace Mailing List!